Pupil December 1810 - June 1816. 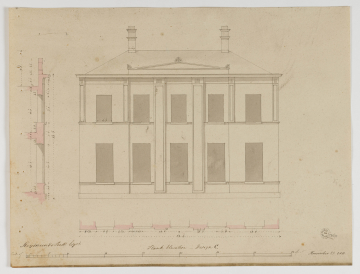 The centre bay is emphasised by a pair of two storey-high lesenes and with a pediment over the centre three bays. The upper bays at each end have two spaced out small lesenes.